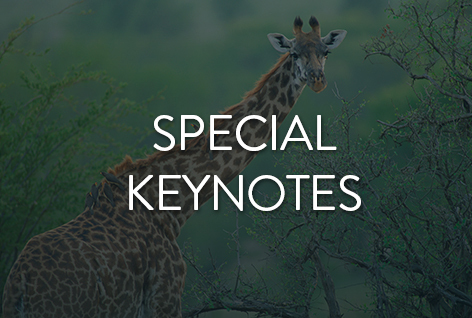 2015 Wildlife Industry Conference Programming - Jackson Wild: Nature. Media. Impact. Relaxing morning yoga with a beautiful Tetons view! Mats, blocks and straps will be provided, and an instructor will be on hand to adjust during the yogatoday.com classes that will be shown on screen. Breakfast with a bite—make the most of every networking opportunity by joining a table of people you DON’T already know. That is what this week is about! We know that human settlement and land-use has led to habitat depletion and the fragmentation of ancient elephant migratory routes, leading to an increase in human-elephant contact and conflict. This session examines strategies underway in both Africa and Asia, with a special focus on innovative new approaches for dealing with the underlying issues: from poverty and war to agriculture and resource extraction. This session is part of JHWFF's Elephant Conservation Summit. James Deutsch (Moderator), Vulcan, Inc. Many broadcasters and streaming platforms already require 4K video delivery and the subtle differences between the tools available to filmmakers can make a big impact on which is most appropriate for YOUR requirements. With frame rates up to 360 fps, 2/3” bodies, fabulous lenses and a stunning array of mounts and ROVS, wildlife imaging is reaching a whole new level of brilliance. A hands-on examination of the newest cameras in action. Come play before you rent or buy. Engage, empower and stabilize local communities, and stewardship of the wildlife and wilderness will follow. A look at some successful programs and initiatives that promote wildlife and humans to coexist and encourage local stewardship of the land and resources. This session is part of JHWFF's Elephant Conservation Summit. Focused on addressing demand for ivory and elephant products, this is the second of three can’t miss sessions during the summit designed to lay the groundwork and frame out collaborations that ensure we maximize our impact. Bring your ideas to the table and moderators will lead a discussion designed to brainstorm strategies that have the potential to move the needle on elephant conservation. Table Moderators will facilitate brainstorming followed by full group discussion of the ideas that emerge. This session is part of JHWFF's Elephant Conservation Summit. Conservation will only prevail if tangible and sustainable benefits are realized by the broader community beyond the ecotourism sector. From public/private partnerships to scientific research and community development, here are approaches that might be transferrable. This session is part of JHWFF's Elephant Conservation Summit. Come prepared to present--you will get a critique on the spot, with tips to help you prepare for a week filled with opportunities to deliver a concise and compelling project pitch. Don’t squander a critical minute in the food line when you let a commissioner cut in front of you! From pre-production testing at the bench and into the field for hands-on shooting, to the final on-screen evidence, you have the chance to field test every major 4K camera to see which one delivers best to meet your specific production needs. Experts from RED offer an exclusive hour for testing and pre-pro. Some of the innovative approaches, success stories, challenges and lessons learned from those at the forefront of nature and conservation. Presenters have 8 minutes to share compelling new stories, discoveries, and big ideas that the world needs to hear. 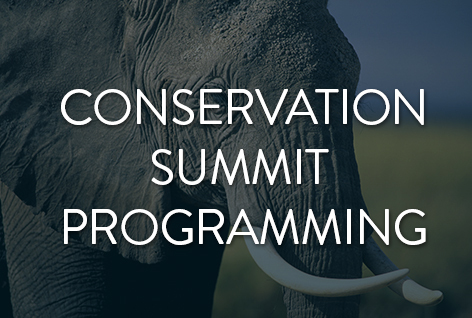 This session is part of JHWFF's Elephant Conservation Summit. Maryanne Culpepper (Session Producer & Moderator), Graffiti Works, Inc. The internet has irrevocably changed media underwriting, distribution and consumption! From crowd-sourced funding to highly curated niche “channels” for specifically targeted interest groups, and the proliferation of SVOD, traditional business models for nat-history and science programming have been upended. From pre-production testing at the bench and into the field for hands-on shooting, to the final on-screen evidence, you have the chance to field test every major 4K camera to see which one delivers best to meet your specific production needs. Experts from Panasonic offer an exclusive hour for testing and pre-pro. Losing species at five times the rate ever known in history, we are on the verge of the planet’s sixth mass extinction. In an era where media is more accessible, immediate and personal than ever before, what are we actually doing to make a discernible impact on culture, consumer behavior and—perhaps—the fate of our planet? When the opening day sessions conclude, the fun kicks up a notch. Join our host, Panasonic, for a Teton sunset and toast to the best Festival yet, with an open bar, delicious appetizers and a welcome opportunity to greet old friends and meet a few new ones! Conservation Detection Dogs are key players in stopping Ivory trafficking and the illegal wildlife trade. Pepin, a 9-year old Belgian Malinois and one of the world's most experienced conservation dogs, will demonstrate ivory detection, handled by Working Dogs for Conservation Founder and Director of Research, Dr. Megan Parker. WD4C's Executive Director, Dr. Pete Coppolillo, will be on hand to answer questions and explain the process and how rescue dogs like Pepin are playing an integral role in the changing world of conservation. Ironically, every dead elephant with its ivory intact is a reason to celebrate. It means an elephant died of natural causes, not bullets, snares or poison, and that soul was allowed to be celebrated and mourned by its herd. Award-winning filmmakers, Dereck and Beverly Joubert start with the remains of two bull elephants and through a series of key flashbacks, look at the lives they might have led, the dramas they may have seen, their great migrations for water with their families, and their encounters with lions and hyenas. This film, shot over two years, is an intimate look at elephants through the lens of two great visual storytellers of the natural history genre. Seasoned industry veterans join emerging filmmakers for frank roundtable conversations and a chance to strategize for a week of networking and engagement! If you have signed on to be a mentor or mentee for more extended involvement, this will be your official first meet-up. It doesn’t matter if you are revealing the wonder of science, advocating for wildlife conservation or weaving a cinematic dream – nuances in how you tell the story can transform its impact on your audience. Dan Kahan heads Yale’s Evidence-Based Science Communications Initiative, and his data have riveted the attention of science media purveyors of all genres. This session is part of JHWFF's Elephant Conservation Summit and begins this year's first Science Strand (funded in part by a grant from the National Science Foundation). Many broadcasters and streaming platforms already require 4K video delivery and the subtle differences between the tools available to filmmakers can make a big impact on which is most appropriate for YOUR requirements. With frame rates up to 360 fps, 2/3” bodies, fabulous lenses and a stunning array of mounts and ROVS, wildlife imaging is reaching a whole new level of brilliance! A hands-on examination of the newest cameras in action. Here is a look at some of the most effective short-form storytelling out there. Shared via social media, the potential reach and impact is huge. Learn how to amplify your content strategy in our incredibly “noisy” digital world. Session Producer: Neil Losin. The 360Heros 360RV has been on tour since January of 2015 spreading the word about virtual reality 360 video technology. Part production tech suite, part mobile education center, the 360RV showcases the world’s latest VR tech and serves as a resource for content creators across the country. From the Commissioners: Here’s What we REALLY want…Honest! You heard the overview on what is trending, and where key commissioners seem to be going. Now spend 30 minutes of “quality time” to learn where their specific programming priorities lie so you can fine-tune the project you want them to love. Sage advice from those who sell: know your buyer! ​TRENDING…From Short-shorts to New Chip! What is the latest hot programming trend, and what has already lost its steam? From the proliferation of short-form to the reinvigorated blue-chip program, personal narrative and the ubiquitous “character-driven” show, Industry visionaries discuss where they see the market heading, and how to stay at the front edge of the latest programming wave. A showcase of some of the pachyderm projects in the current production pipeline, with discussion about stories still needing to be told. This session is part of JHWFF's Elephant Conservation Summit. This is final of three lunch sessions designed to lay the groundwork and frame out collaborations that will drive a greater impact than our individual efforts. The first two sessions were designed to reach a consensus around the ideas and strategies with the potential to move the needle on elephant conservation. This is the time to make commitments. What can you and your organization commit that can make a difference? We will walk away from this session with a list of to-dos and deliverables that will connect and amplify our efforts to protect elephant populations. 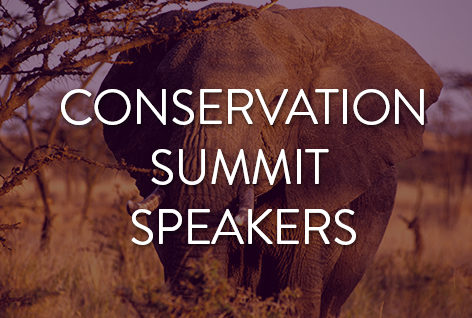 This session is part of JHWFF's Elephant Conservation Summit. From pre-production testing at the bench and into the field for hands-on shooting, to the final on-screen evidence, you have the chance to field test every major 4K camera to see which one delivers best to your specific production needs. Experts from Sony offer an exclusive hour for testing and pre-pro. Author and biologist Carl Safina interviews this year’s Outstanding Achievement Award-winners for an hour of scientific revelation and a lifetime of insight from two of the world’s foremost elephant experts and ardent advocates. This session is also part of JHWFF's Elephant Conservation Summit. While numbers of downloads, eyeballs on screens and bodies in seats measure reach, they fail to capture the information we really want: what difference did you make? Media that matters is media that catalyzes action. This session examines what it takes to leverage media into on-the-ground impact with a look at how that can be quantified. This session is part of JHWFF's first Science Strand (funded in part by a grant from the National Science Foundation). Some of the innovative approaches, success stories, challenges and lessons learned from those at the forefront of science, technology and conservation. Presenters have 8 minutes to share compelling new stories, discoveries, and big ideas that the world needs to hear. This session is part of JHWFF's Elephant Conservation Summit and begins this year's first Science Strand (funded in part by a grant from the National Science Foundation). From pre-production testing at the bench and into the field for hands-on shooting, to the final on-screen evidence, you have the chance to field test every major 4K camera to see which one delivers best to your specific production needs. Experts from ARRI offer an exclusive hour for testing their 4K UHD and 4K Cine cameras. Whether you’re a scientist keen on public outreach, a small NGO considering a foray into video advocacy, or an international NGO with big communication goals, creative short films can help you reach your audience. In this workshop, we’ll help scientists, NGOs, and independent media producers tackle that all-important question – how do you work together to get the message out? This session is part of JHWFF's first Science Strand (funded in part by a grant from the National Science Foundation). This visionary restoration of this war-torn national park is a multi-disciplinary effort combining conservation science in the ecosystem--with health, education and sustainable agriculture in the traditional communities around Gorongosa--to create a new model of integrated conservation and development. Participate in a discussion ten years into the 20-year public private/partnership to restore and manage Gorongosa National Park, Mozambique. How do you tell a great story when your “screen” is 360 degrees in every direction? Virtual Experience storytelling requires an understanding of physics as well as an ability to craft a cohesive and creative nonlinear storyline. The veterans on this panel have already achieved what most of us are just imagining! Join them to explore the challenges and promise of creating impactful, engaging Virtual Experience (aka VR) content. Celebrating a year of unprecedented milestones, join PBS for a Networking Happy Hour and more! Elephant Summit delegates can debrief, and Preliminary Judges are invited to a special meet and greet in the Blue Heron Lounge to compare notes from the 2015 Judging experience. SUMMIT WRAP UP: Now What? An incisive recap of the dialogue and outcomes following three intense days of collaboration and exchange: what was actually accomplished at this year’s Elephant Conservation Summit? Prepare to be inspired by an unforgettable evening of insight, humor and common sense. M. Sanjayan interviews E.O. Wilson, the most revered biologist of our age. This session is part of JHWFF's first Science Strand (funded in part by a grant from the National Science Foundation). Join Wyoming Stargazing and its Founder and Executive Director, Dr. Samuel Singer, for an extraordinary night of exploring the heavens. Wyoming Stargazing, a Jackson based nonprofit organization, is dedicated to inspiring and educating our community through Wyoming's extraordinary skies. Their vision is to establish an observatory and planetarium in Jackson Hole. During the stargazing program you'll have the opportunity to look through Wyoming Stargazing's enormous telescope at the Moon, planets, binary star systems, star clusters, nebulae and galaxies. You'll also have the chance to play around on an iPad with the Starwalk app while others are peering through the telescope. Samuel will answer all the questions you've ever had about the Universe. Enjoy a breakfast conversation with old friends or meet new associates and join one of our “assigned table leaders” for a lively discussion on a variety of timely issues and topics (a table/topic list will be provided on-site). This session is part of JHWFF's first Science Strand (funded in part by a grant from the National Science Foundation). Many wonder how to produce a film about a polarizing topic without further polarizing the audience. Dan Kahan returns to discuss the results of his recent study of the Emmy-nominated series, and multi-category finalist here at Jackson, "Your Inner Fish." Human evolution, like climate change and indeed conservation, is without question one of the most polarizing issues in the media. Let's find out why -- we’ll challenge your storytelling instincts and discuss how to best use them for potentially controversial topics in order to maximize IMPACT. This session is part of JHWFF's first Science Strand (funded in part by a grant from the National Science Foundation). Jackson Hole Wildlife Film Festival (JHWFF) has partnered with Conservation Media Group (CMG) to award at least one $5,000-$10,000 grant for a short film project that uses video to create measurable action in ocean conservation or sustainable energy. Applications are being reviewed and finalists will be interviewed in one-on-one pitch session with CMG commissioners, today. The grant winner(s) will be announced on October 1, at the Teton Awards Celebration. Lisa Truitt interviews Howard and Michele Hall, recipients of JHWFF’s Outstanding Achievement Award for their lives’ work in natural history media. Taking your UHD field material all the way through post to deliver a UHD master has very specific workflow challenges you need to know about! Consider this a “master class” opportunity to bypass an expensive learning curve, as we break down three projects from pre-production to delivery. Talking about it simply doesn’t “work” you have to experience VR to understand the potential of this immersive new storytelling medium. Be inspired by early adaptors who are already creating compelling content in the VR space. 360 Heros, Atlantic Productions, Condition One, Discovery, Dolby, Dryft Digital, Jaunt, Immersia, NextVR, Nokia Technologies, Pixel Corps, TOMS, WeVR, and more! From data capture, to media management and stitching, 360Heros will demonstrate the comprehensive virtual reality content creation workflow. Attendees will see firsthand the techniques and technology involved in creating immersive 360-degree media content. Do you need a lens with super-telephoto reach? Is low-light performance your priority? Cost? Portability? Versatility? Great wildlife images always start at the lens, regardless of the camera. This workshop will examine the latest lenses available to best fit your production with a hands-on and open discussion on Lenses, Lens mounts, Lens accessories and Camera formats appropriate for modern Wildlife Cinematography. Two new Fujinon lens models for Ultra Definition TV (UHD) 2/3" format cameras will be featured with 80x and 22x zoom ratios. PL mount zooms (including the popular Cabrio series), HD B4 mount zooms, and useful accessories will be shown and discussed. Come and get focused on the latest lens solutions! Brighter whites and darker blacks, with magnificent nuances in between, HDR might be the most interesting and least understood topic of the day! Last month, Big Blue Live celebrated an outstanding marine conservation success story, in what was also one of the most ambitious wildlife broadcasting collaborations ever! BBC and PBS joined forces with scientists from Monterey Bay Aquarium and the National Oceanic and Atmospheric Administration to create an extraordinarily rich lineup of live programming that reached millions of viewers around the globe. Emmy Award-winning wildlife cinematographer and biologist Cristian Dimitrius will screen footage from recent shoots with the ARRI AMIRA and ALEXA. Dimitrius will explain his camera techniques to enhance the way audiences see and perceive wildlife. ARRI reps will give a brief overview on the award-winning image quality and unique features from these versatile production tools. We inhabit an ever-expanding decentralized and multi-platform media universe! From six-second Vine and 90-second Instagram videos to multi-screen engagement during long-form programs, and live programming, today’s audiences are engaging with content in completely new ways. Multi-device/multi-storied delivery is a requirement for strategic messaging. Trans-media content creators discuss how to successfully integrate the web culture’s minimal viewing time into a cohesive, complementary storytelling strategy. Phil Streather has been producing films for the giant screen (IMAX) for 20 years, including JHWFF award winner Bugs! 3D. In this advanced work shop he explains the fundamental differences between making films for this medium over any other. Choice of technology is an important factor in the images holding up on a screen 100ft wide by 70ft tall; BUT it's also the approach to story, the framing and the pacing that make them so different from TV or theatrical, requiring a particular mindset in development, production and post. Giant screen films can make money. Bugs! has grossed over $50m and is still playing around the world 12 years after release. Recent films include Hubble ($65m), Born to Be Wild ($38m), Under the Sea ($50m). Some do very badly. What is the secret sauce? Come to this session where Phil will share, tips, tricks and budgets! Rise Up From That Couch! Transforming passive viewing into active participation is becoming an important tool for discovery and engagement. From apps and games to real-time programming and enriched interactives, here are just a few innovative ways to connect people with the fascinating world around them beyond the screen! This session is part of JHWFF's first Science Strand (funded in part by a grant from the National Science Foundation). A special thank you to our Board Members and major sponsors who helped make this year’s Festival possible. YOU WERE BORN TO BE WILD! Party like a local at the infamous Nat Geo WILD BBQ—a Festival Institution—with music by an all-local favorite, The Snake River Band—and a cameo appearance by rock and roll legend, Steppenwolf’s John Kay! Congratulations, finalists! Join us for breakfast, pick up your beautiful certificates and learn what to expect during the Gala Awards event later tonight. An elephant calf called Little E is born into a family trying to survive in one of Kenya’s most iconic landscapes – The Maasai Mara. Unfortunately for the herd, drought is setting in, and the family’s forced to keep on the move in search of food and water. Lions, hippos and even men interrupt their quest, but each challenge is overcome with thoughtful purpose and at times, surprising humor. By the time their journey ends, their actions testify not only to an intelligent and loving nature that rivals our own, but also to a message we can all relate to: there's nothing quite like family. Filmed by Bob & Gina Poole and produced by Off the Fence for Nat Geo WILD. Media can transform society, but in today's message-saturated world it often also takes a strategically-designed social impact campaign to fuel change. One of the country's top social impact producers shares key methods for developing an effective action campaign at the nexus of storytelling, marketing, and advocacy for your film, TV program, or other media. This session provides a framework for engaging and activating public and influencer audiences using transmedia storytelling, strategic partnerships, outreach, and calls-to-action – seeding measurable behavioral, social, and institutional change. Panasonic will present an overview of its new VariCam 4k s35mm production camera, and its high speed 1080p 240fps 2/3” twin little brother, the VariCam HS. We will cover the camera operation and technology in depth, and to contrast both cameras as different solutions to many of today’s production needs. Also discussed will be the technologies that enable shooting native ISO5000, or 4K at 120fps in uncompressed RAW, and important aspects like HDR, in camera colour correction, in field previews, sub and proxy simultaneous recordings and other useful capabilities. Lastly, we will introduce our new 4k one piece camera, the DVX200, designed for more modest UHD production needs. Investigative journalist and NatGeo Explorer Bryan Christy interviews elephant conservation icon and one of this year’s Outstanding Achievement award recipients, Iain Douglas-Hamilton. How far are we willing to go to win the race for high ratings? Pop programming does not have to mean bad programming. Meet filmmakers and programmers who have managed to get great numbers and not compromise quality. This session is a conversation on how to raise the bar in this important programming sector. Guest filmmakers discuss their latest documentary projects and the tools and techniques of wildlife documentary production. Following this, Sony will discuss their digital paper solution, their energy storage solution (in partnership with Blue Planet Energy), and share Sony’s “Road to Zero” global environment plan. Digital paper displays full sized documents as clear as print-outs even under direct sunlight, and allows users to hand-write on the device in a secure environment. Blue Planet Energy’s “Blue Ion” energy storage system is flexible and scalable, and designed to help homes and large businesses use clean renewable energy to go off-grid, and can be used in film production today to replace diesel generators in providing energy. At Blue Ion’s core is Sony’s industry leading Fortelion® battery technology, which is highly reliable, efficient, and safe. Sony is dedicated to promoting public awareness and stewardship of wildlife and wildlife habitat through the innovative use of media, as well as within their own operations. Road to Zero, Sony’s global environmental plan, includes set goals for promoting biodiversity as one of four central perspectives, along with curbing climate changes, conserving resources and controlling chemical substances. At Sony Pictures Entertainment, efforts on sustainable film production go back 10 years, including recent implementation of a sustainable film checklist in production processes. Sony will share how our technologies, products and practices could be part of your wildlife film production process. Far away, up close, or in the dark, Canon offers powerful and unique tools for wildlife cinematography. Canon, a world leader in the manufacturing of precision optics as well as 4K, HD and digital still imaging cameras offers a wide array of solutions for the challenging situations often faced when shooting in the wild. From the world's longest 4K Super 35mm zoom lens to light weight portable Defractive Optics lenses and cameras that shoot color images in virtual darkness, Canon has the gear that will enhance your story in ways you never imagined possible. Take an up close look at some of the most powerful imaging devices in the world and get a hands on demonstrations during this one hour workshop. Cody Westheimer recently hand built his portable music studio - which allows him to have nearly the full power of his home studio while being inspired with whatever remote location is drivable in his Subaru. Join him and colleagues Lenny Williams and Madelaine German (who will be playing filmmakers!) as he live scores a scene and explains the process for composing focusing on story telling and communication. This year’s EWCL Fellows reviewed 24 Conservation Impact projects nominated by our preliminary judging committees. Here are the finalists they selected for special recognition, talking about their inspiring conservation initiatives. With over a decade online, NatureFootage offers the largest niche collection of HD and Ultra HD 4K+ stock footage focused on nature & wildlife, oceans & underwater, and people & adventure. You can grow revenue by selling your stock footage online. NatureFootage offers custom stock footage websites to exclusive contributors with a proven sales track record. We create a customized interface for your clients to access stock footage directly from your own branded website, offering customers the best in search, preview, licensing, and delivery. Sometimes, small is what you HAVE. Here are some practical tips and useful tools to make filmmaking with smartphones and tablets as good as it can be! Get ready for a night to remember as we recognize the films and filmmakers selected by this year’s jury as this year’s award winners! Join emcees M. Sanjayan & Bryan Christy at the beautiful Center for the Arts in Jackson Hole for an evening of celebration, drinks, eating and dancing! 6:15, Theater doors open (grab that seat)! 11:00, Last bus leaves—ignore this warning at your peril! Today, we move the fun into downtown Jackson! With a fabulous lineup of Winner Showcase screenings at the Center for the Arts, gallery receptions and fantastic dining and recreation options, you can discover for yourself that Jackson Hole has more to offer than stunningly beautiful wild landscapes. Refer to the card in your delegate bag for special discounts and events and enjoy the Best of Festival Winners Showcase Screenings! If you can stay through the weekend, you will have even MORE fun! Visit www.jhWILD.org for a full schedule. Transportation to Town begins at 10:00, and departs every 30 minutes. Many have opted for Jackson hotels, tonight so please sign up for transportation returning to the Lodge if you need it!